October 3 , by Stacie Hooder. 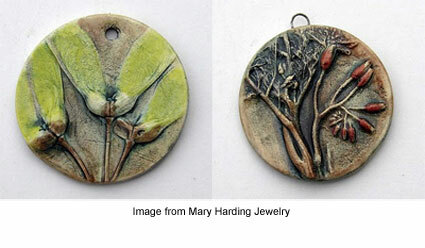 Mary Hardin describes the process she uses to renew her creative energy and her inspiration for these exquisite new pieces at her blog MaryHardingJewelry Bead Blog. Mary has been an artist most of her adult life. She’s been making ceramic beads since 1998 and says, “I feel so lucky that I know what I love to do and have the time to do it.” Take a look at Mary’s other work in her Etsy Store.